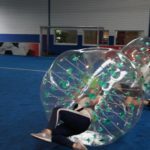 Bubble bump football, Bubble football, or bubble soccer, is the recreation/sport of playing football while encased in an inflated torus, similar to a zorb, which covers the player’s upper body and head. 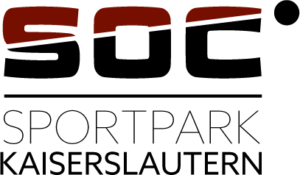 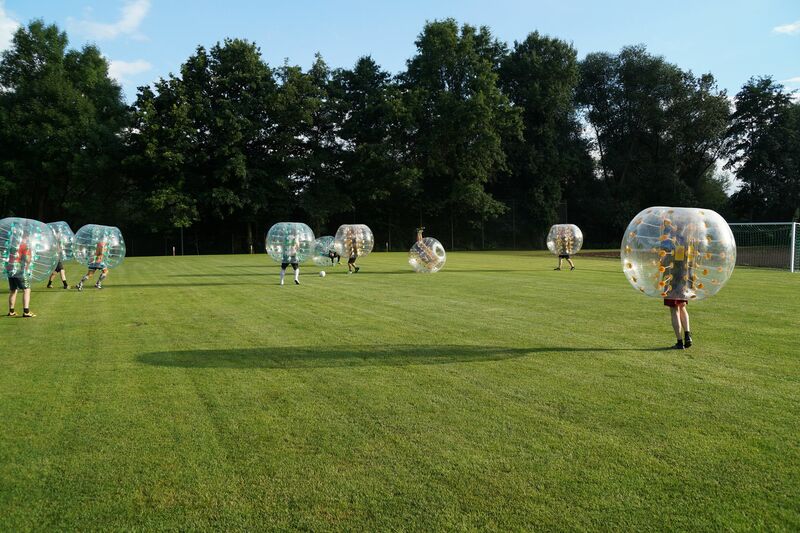 This game is typically played in teams in large indoor spaces or outdoor fields. 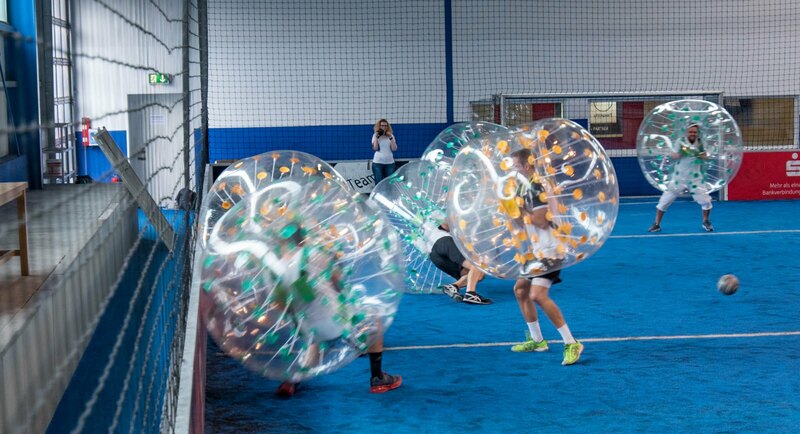 Bubble bump football follows the same objectives and overall rules as regular football (i.e., teams compete to hit a ball into the opposing team’s goal) with the added condition that each player must wear an inflatable bubble, similar to a water ball, around their upper torso. 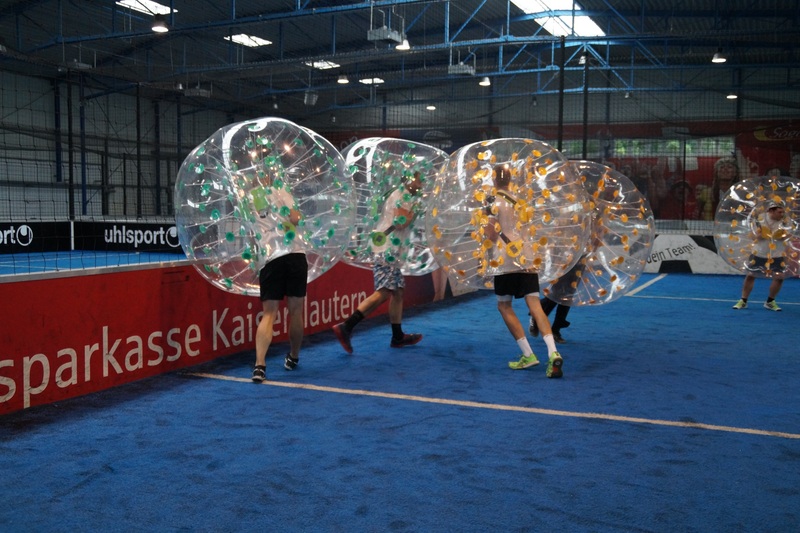 The sport’s popularity is still increasing, with players originating from all over the world. 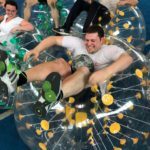 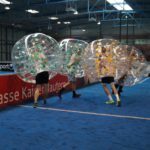 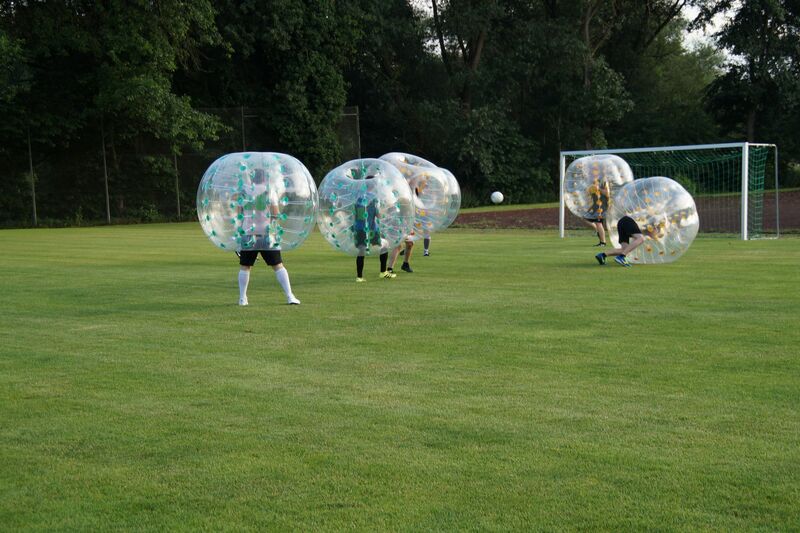 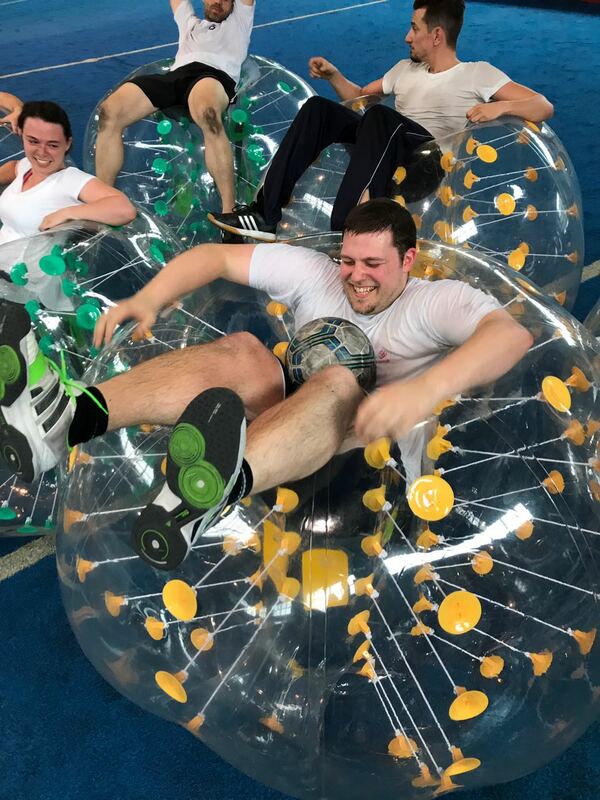 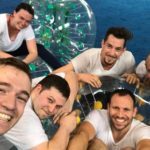 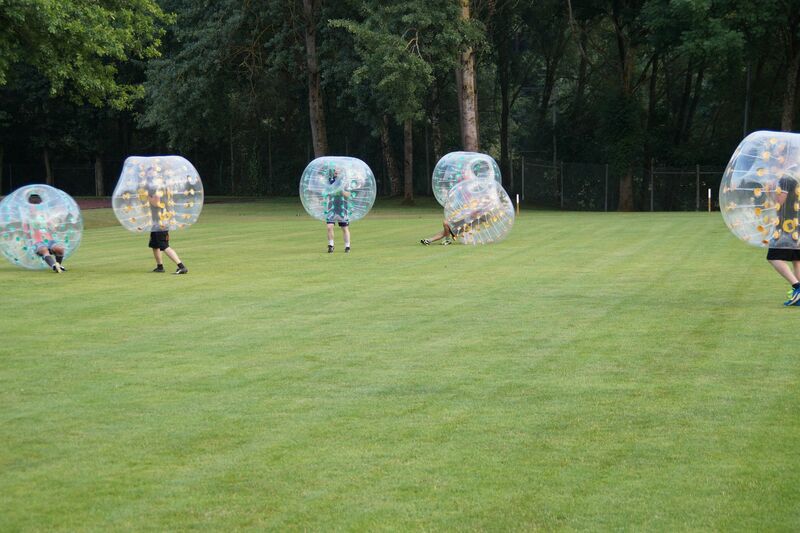 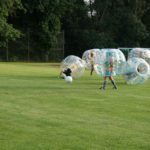 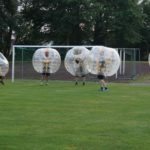 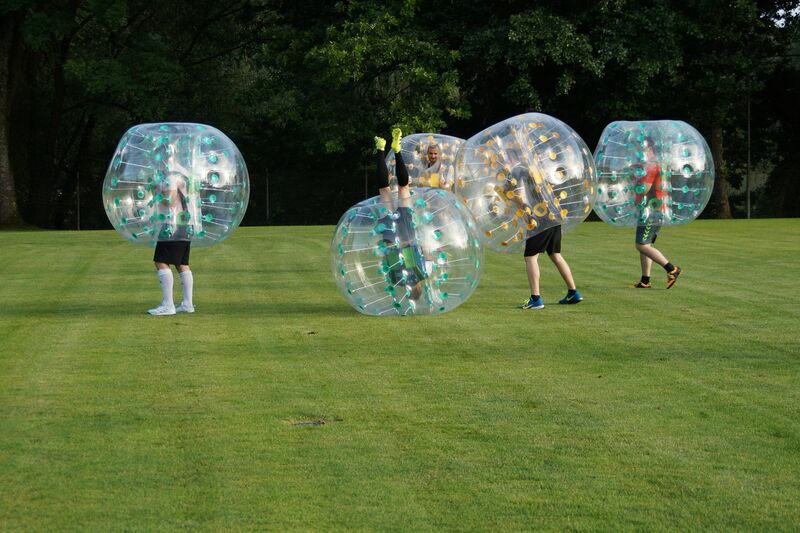 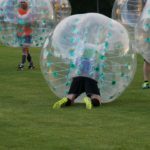 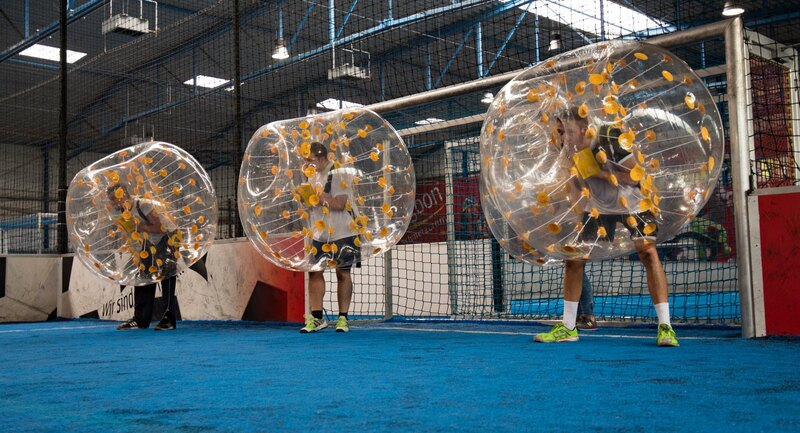 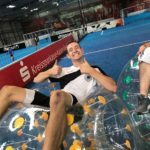 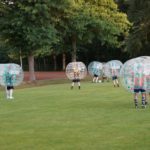 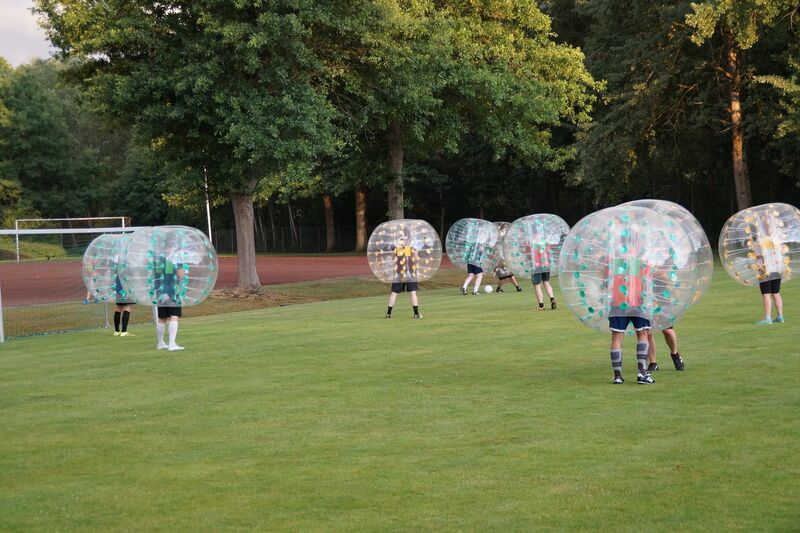 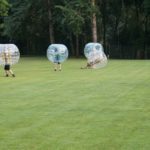 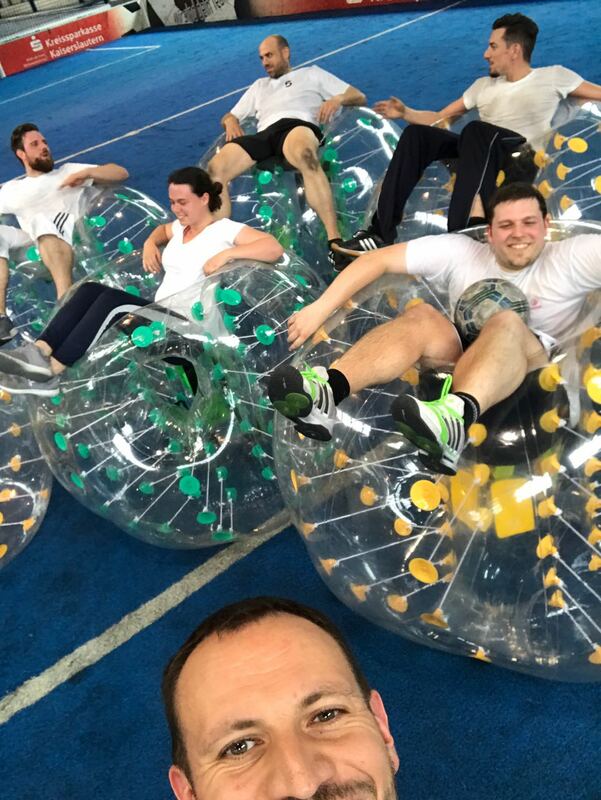 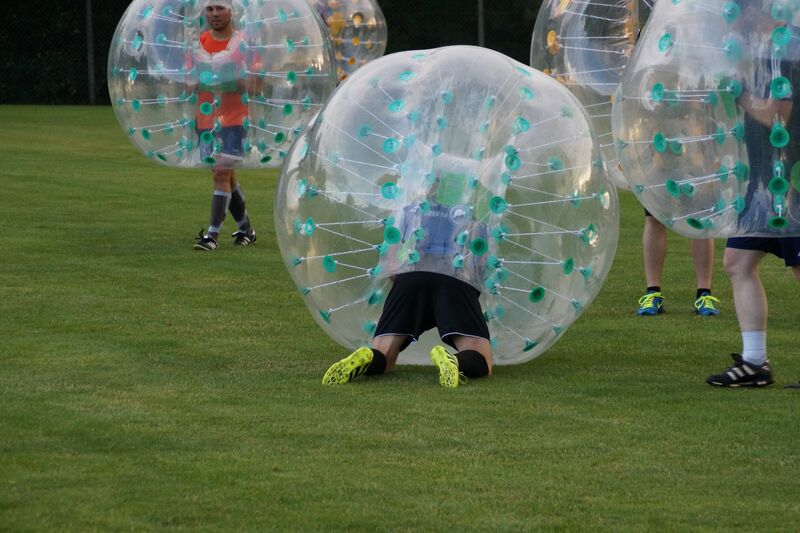 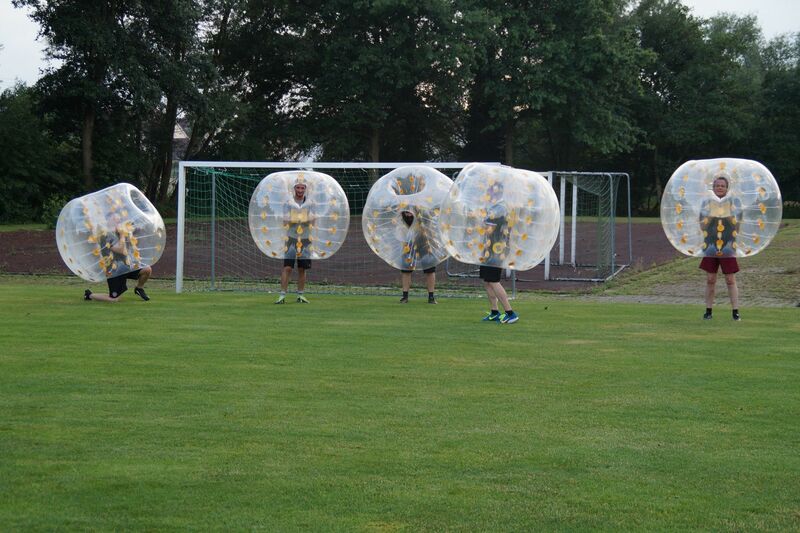 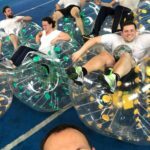 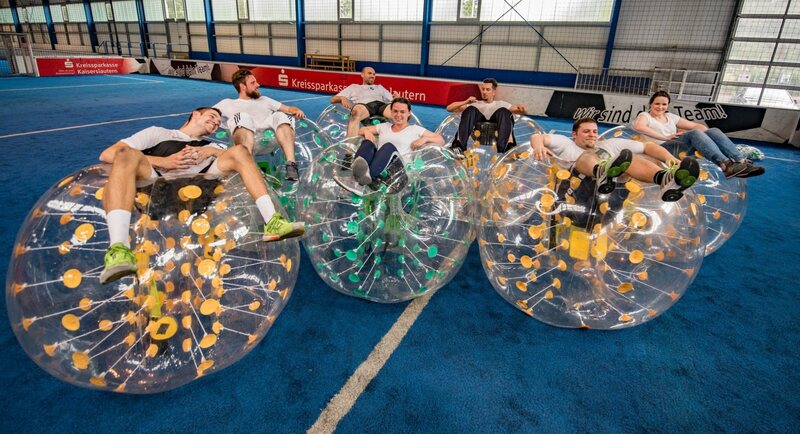 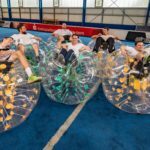 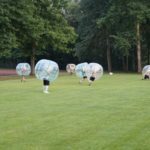 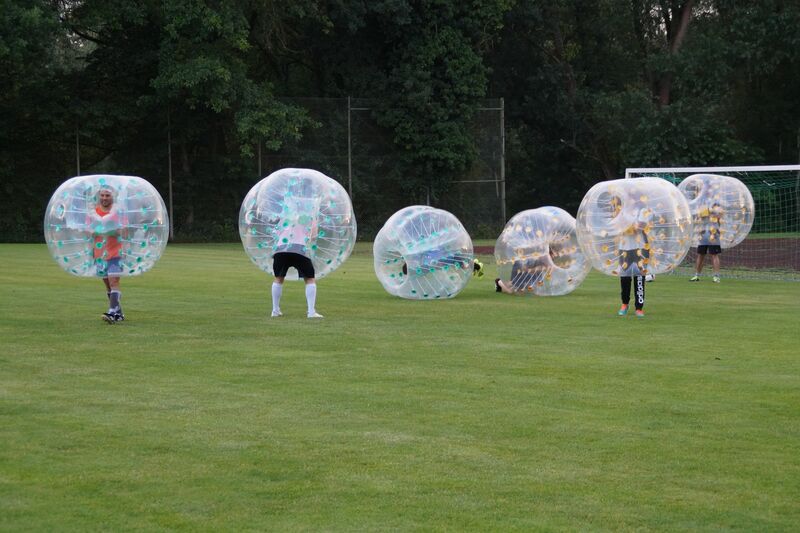 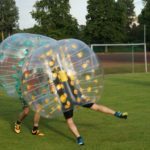 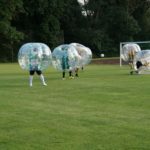 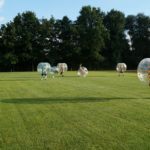 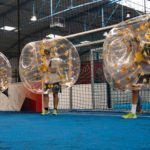 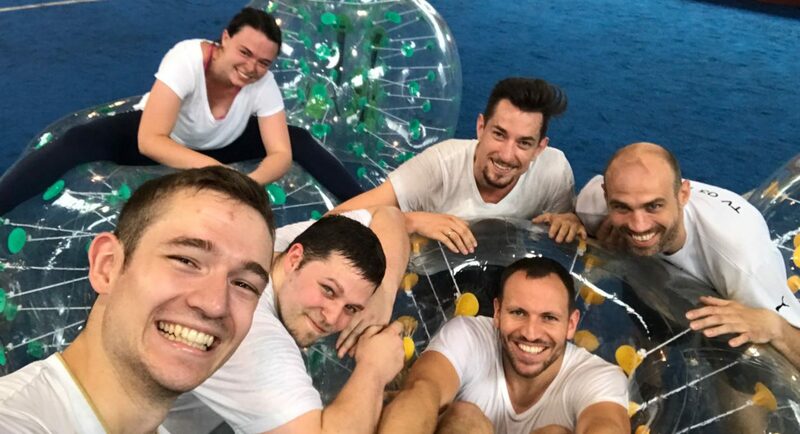 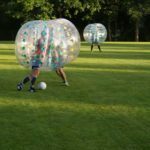 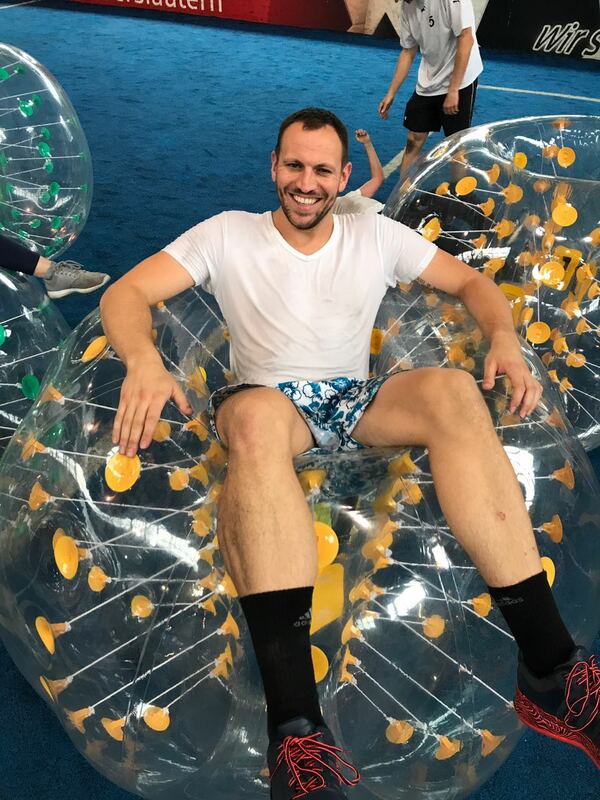 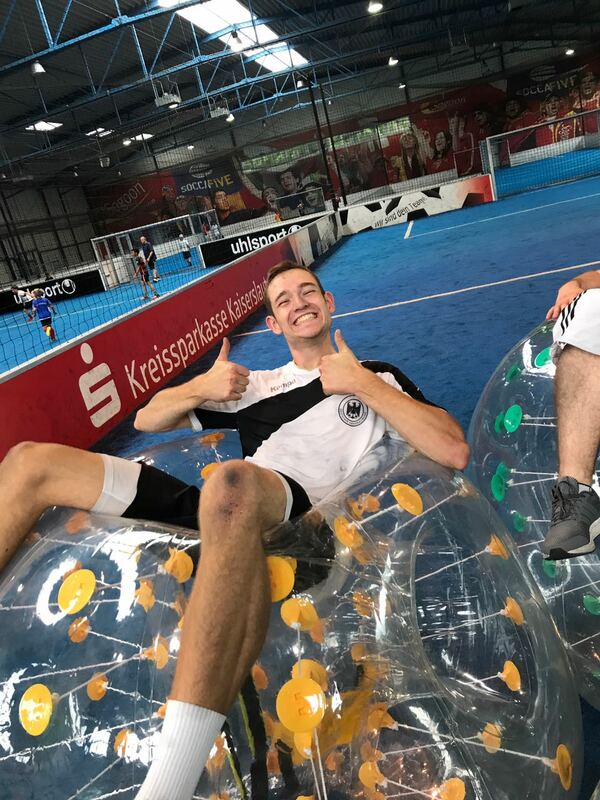 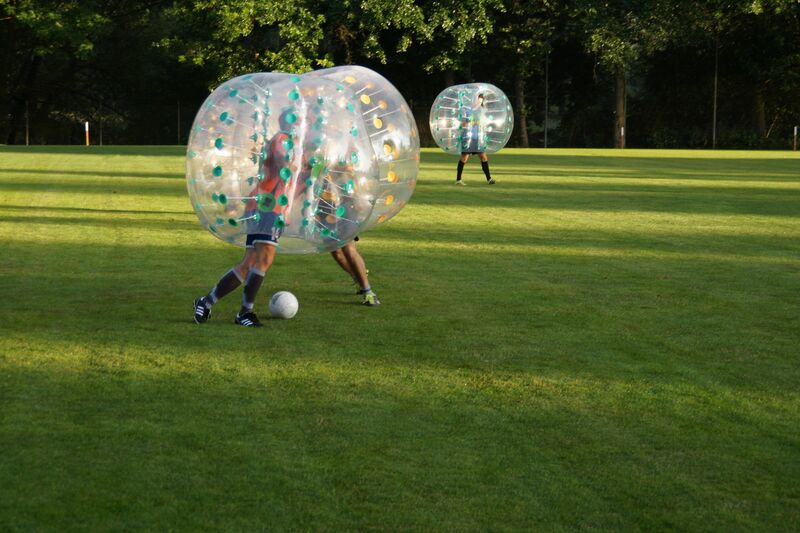 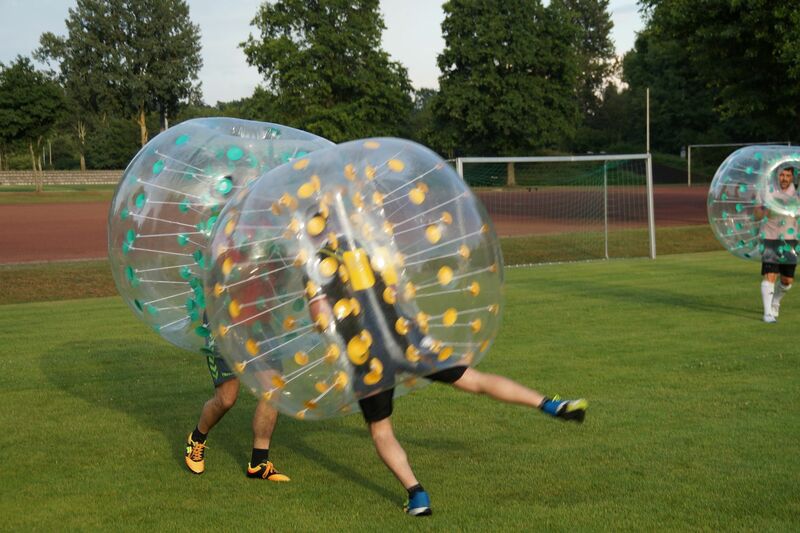 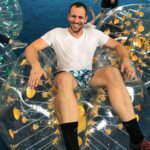 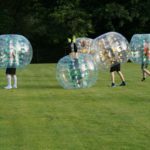 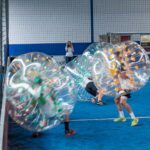 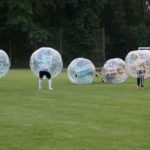 Bubble soccer is often played at corporate team building days, stag parties, bachelor parties, and birthday parties. 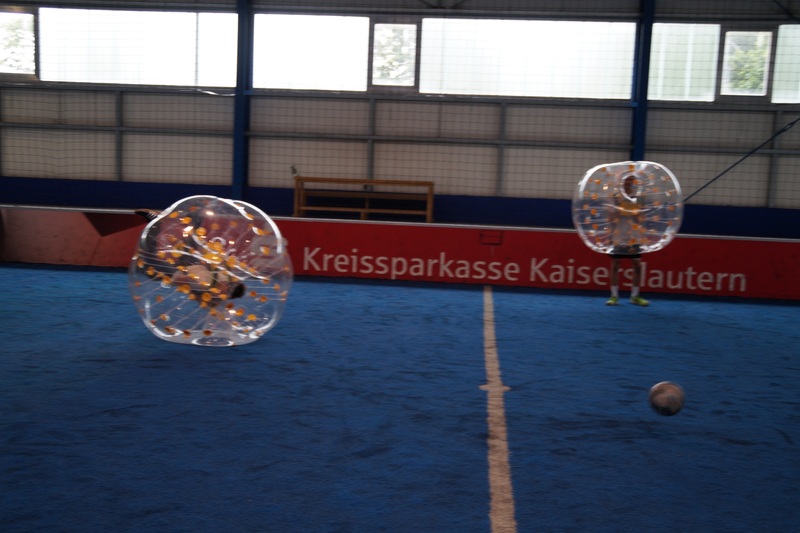 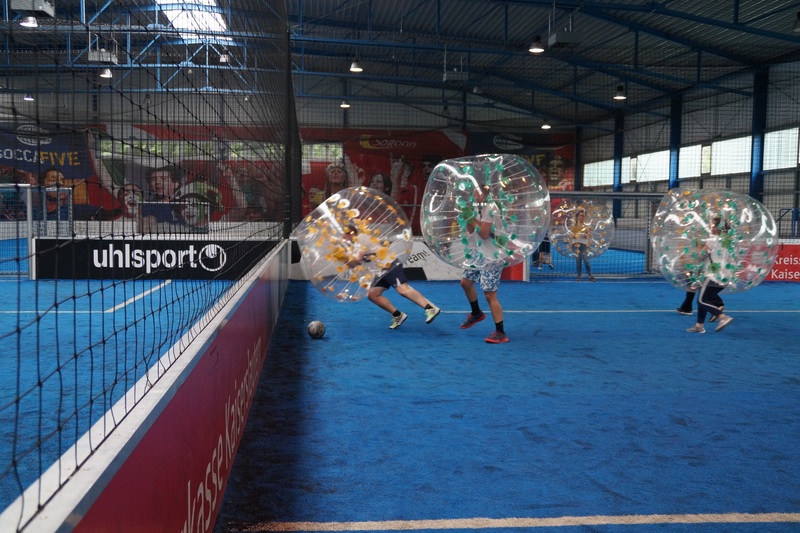 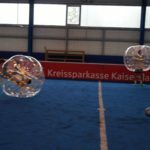 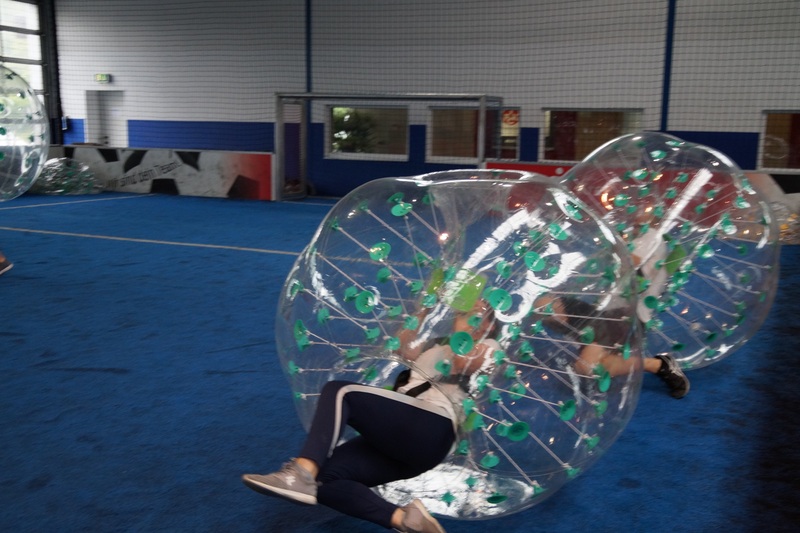 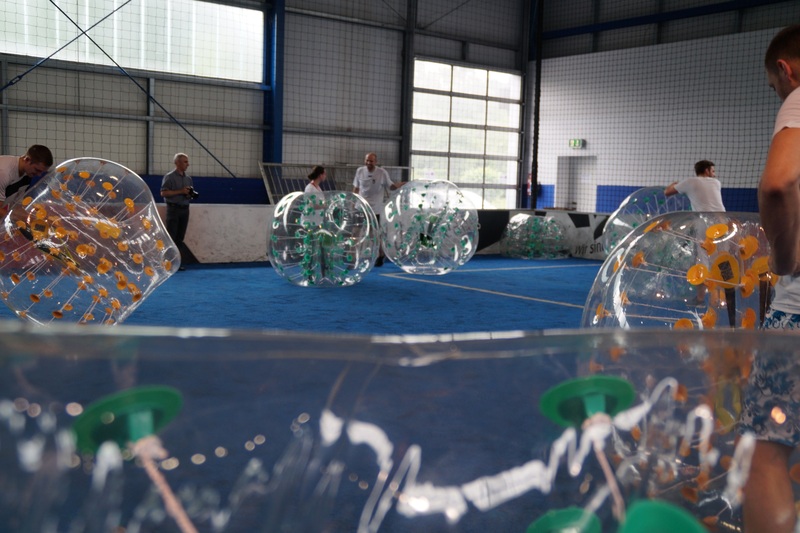 There are also many variations of bubble football, such as bubble bowling or bubble sumo. 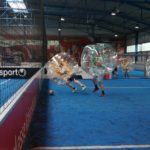 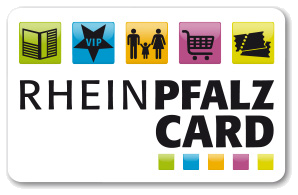 Some companies exist which help to organize bubble football events and rent out playing fields. 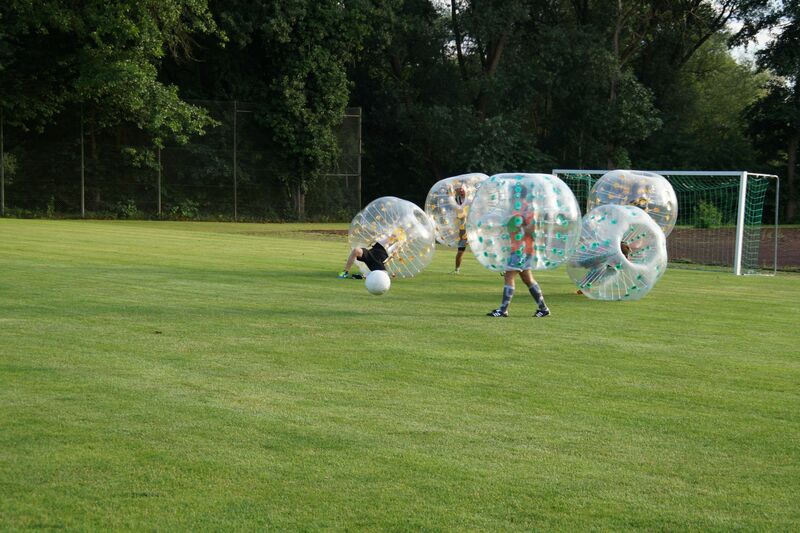 We got new Juniorballs. 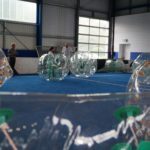 The balls are 1,00 m high and 1,20 m wide. 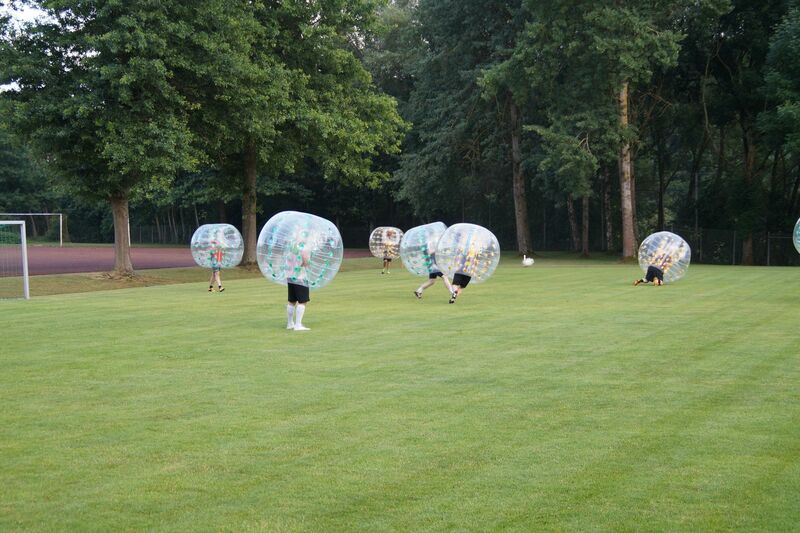 Perfect for birthday partys and Action als by foul weather.